Crouch End Area Guide - What makes Crouch End so great? Where do Crouch End locals go? Beautiful, vintage-style café. Great for brunch. An independent hairdressers with the loveliest staff. I always feel welcome and they do a fantastic job! From cakes for special occasions to sandwiches at lunchtime, this local bakery has been serving Crouch End for years and they're certainly my first port of call for baked treats! This delightful café is great for coffee or lunch in the afternoon. It caters for vegetarians and vegans and serves gluten-free options too. Balkan and Middle Eastern street foods combined, I love popping in for a quick and cheap lunch. They make traditional pastry bourekas that are so delicious and morish, I can't get enough! This ice cream café sells amazing ice cream! There's always a queue right down the road - I can't get enough! One of the best pubs in Crouch End located on Crouch End Hill, with friendly staff, good food and an amazing beer garden. This is a lovely little coffee shop run by two sisters, next to the new Smithfield Square development and Sainsbury's. As well as serving freshly brewed coffee, this shop roasts and sells lots of different beans from around the world. A delightful café that's very child friendly. They have a children's play area and gluten-free treats too! If you ever find yourself very hungry, head on down to Banner's because the portions are huge! It's definitely very good value for money and the menu is so extensive, there's something for everyone. Incredibly friendly service, amazing choice of cookies and pastries, gluten free and vegan options. Share your favourite place to go to in Crouch End. In the centre of Crouch End is its Clock Tower, erected in memorial to local councillor Henry Reader Williams. What I love about Crouch End is the vibrancy of the local bars and restaurants; as well as the proximity to the gorgeous greenery of Alexandra Palace, the convenience of being so close to Wood Green's shops and cinemas, and the short bus ride to Finsbury Park which takes you to town on either the Victoria or Piccadilly Lines in minutes. I have lived in London only two years, but would not want to live anywhere else. Pick of the restaurants - Banners, their Jerk Chicken with rice and peas and fried plantain is the best I have ever tasted, and for the bars - kissthesky, tasty and unique cocktails and a weekly quiz on a Monday night! I'll see you there! What do you think of Crouch End? Crouch End is an area of north London, in the London Borough of Haringey. Crouch End is in a valley between Harringay to the east, Hornsey, Muswell Hill and Wood Green to the north, Finsbury Park and Archway to the south and Highgate to the west. Crouch End is in a valley between Harringay to the east, Hornsey, Muswell Hill and Wood Green to the north, Finsbury Park and Archway to the south and Highgate to the west. What are your favourite things about Crouch End? 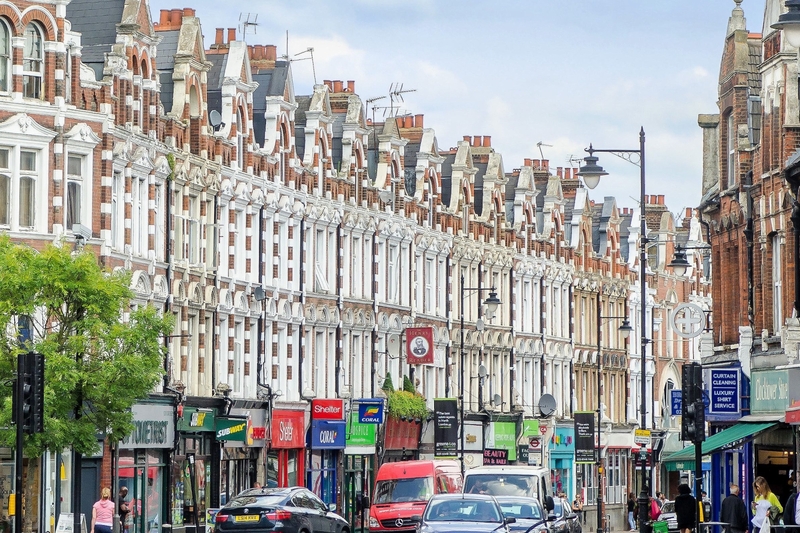 Find out how much your flat or house is worth om Crouch End. Feedback about living in Crouch End has been submitted directly by the public and may not neccessarily reflect the views of Foxtons. The description of Crouch End was modified from Wikipedia and is available under the Creative Commons licence. Land Registry data is Crown copyright. All the views and contributions contained within Foxtons Local Life are those of the contributors. All content is assessed before publishing for taste, however free opinion is encouraged. Foxtons accept no payment or sponsorship for content that is posted about Crouch End.